Lucuma is the sweet fruit from the Peruvian Lucuma Tree. The raw powder can be used as a sweetener in foods and has a delicious caramel maple-y flavour. I first tried it in what is still the best ice cream I’ve ever had- the Raw Lucuma & Pecan Ice Cream from Inspiral Café in Camden, London. Just because you want to eat healthily it doesn’t mean you can’t have a sweet treat! Lucuma is considered a “superfood” since it boasts a variety of nutrients, including vitamins, minerals and fibre. 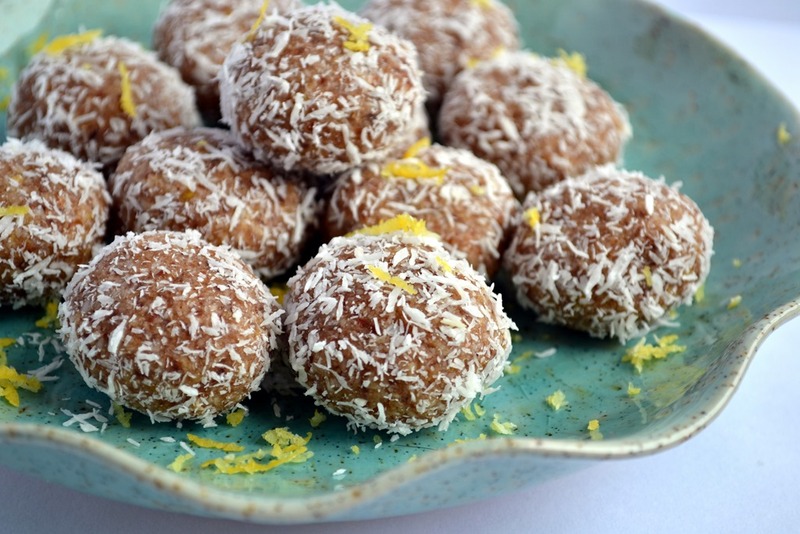 I think the lucuma, coconut and lemon are lovely together and the lemon also prevents these from being too sweet, as raw desserts can be. No cooking or cooling time needed, just whiz everything together in your food processor and you can be enjoying these in 10 minutes. Even if you don’t believe in “superfoods” these bite-sized treats are still very healthy. They’re satisfying too because of the protein, fat and fibre provided by the almonds, coconut and flax. Pulse almonds in a food processor until coarsely ground. Add dates through to ground flax and process until a sticky dough forms. It should stick together when pinched between finger and thumb. Add shredded coconut and pulse briefly to incorporate. Shape mixture into 12 macaroons and flatten slightly. 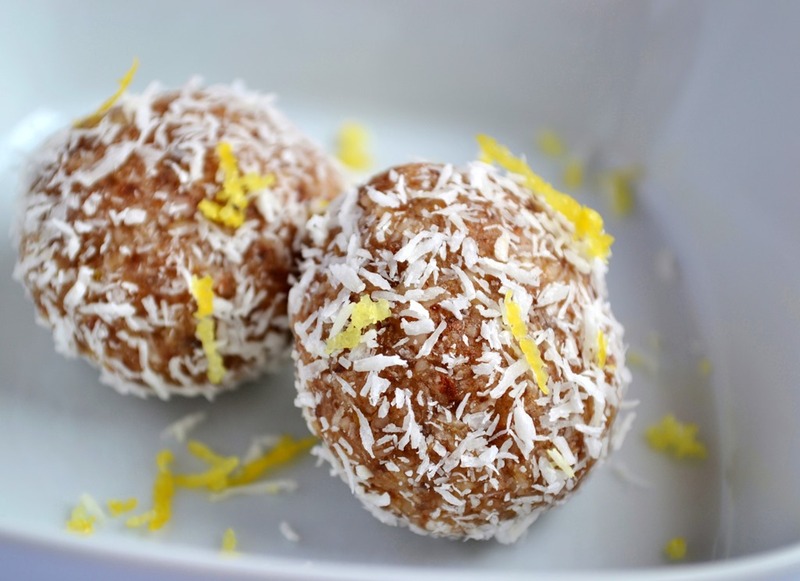 Roll in remaining shredded coconut. These have a great chewy texture and hold together easily too, with no need for any time in the fridge. I’m looking forward to trying other flavours with the same base ingredients and different extracts and add-ins- I think vanilla with cacao nibs, almond, maca, hazelnut and chocolate would all be good.